One thing that you can always count on concerning Disney Hipster Blog and the ridiculous Disney Hipster Podcast is that we will never run out of fun ideas to keep us motivated (and YOU interested...). Just last week we released Christmas In Adventureland, which I am particularly proud of! What a fun way to spend a Saturday night, right??!! But some things are not quite as efficient. The upkeep on this blog, which I consider the cornerstone of Disney Hipsters, and Twitter are pretty well maintained. However, some of our other social media outlets don't get nearly as much love. Over the next couple of weeks Facebook, Tumblr, and Google+ (yes, still...) will all be getting facelifts. 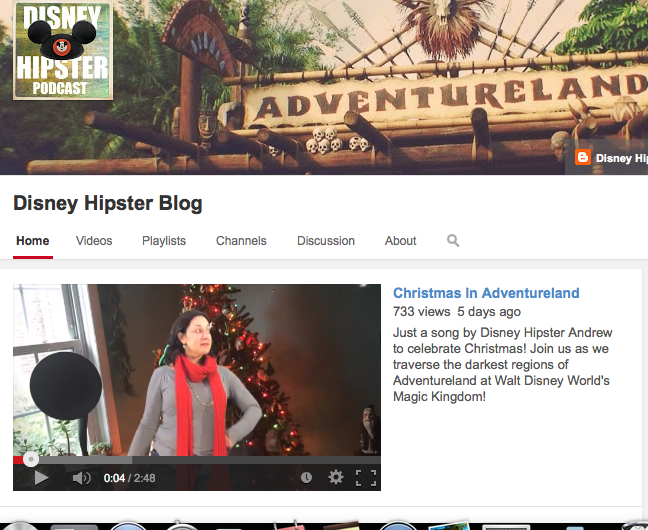 In the meantime please go and enjoy OUR VERY PRETTY NEW YOUTUBE PAGE. The page should be easier to navigate, and videos should be easier to locate in general. 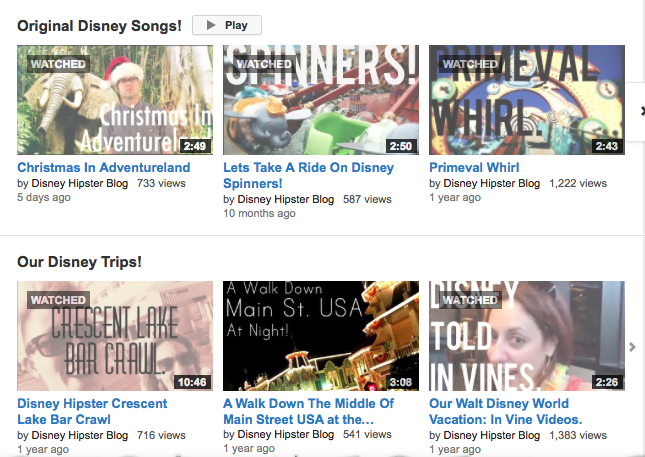 Did you know you can create custom thumbnails on youtube??? So how out of the loop I am? I'm super excited to bring some new life into Disney Hipsters. Even through the chaos of the holiday season I'm making this a priority, as I think it will make our readers experience more pleasant/more convenient.